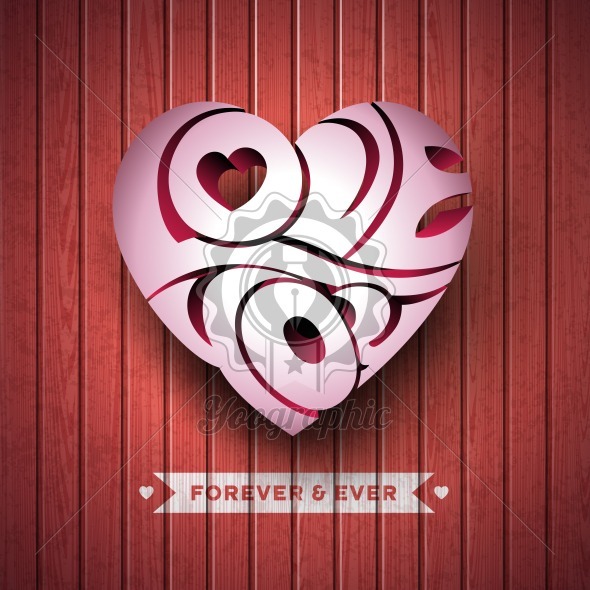 Vector Valentines Day illustration with 3d Love You typography design on wood texture background. Vector Valentines Day illustration with 3d Love You typography design on wood texture background. EPS 10.